Purple Spiny Oyster Cuff Bracelet handmade by Navajo artist Artie Yellowhorse and her two daughters. 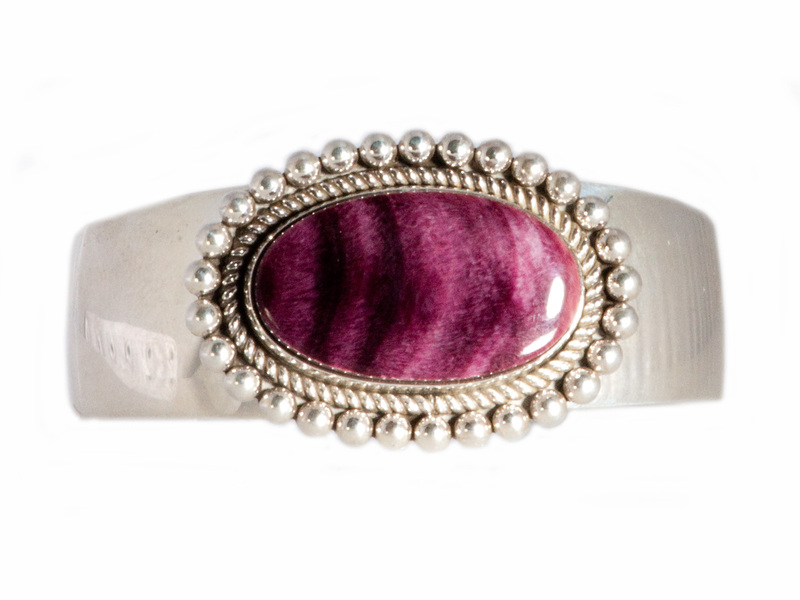 This fabulous bright purple stone surrounded by polished sterling silver creates a dramatic statement. The cuff measures 5″ inches from end to end with a 1″ inch wide opening. Families have been known to bond in many ways. For the Yellowhorse family, fine jewelry design is the common denominator. The influences of the Navajo culture are readily apparent in this beautiful, wearable art, which evolved from generations of artistic talent. Artie Yellowhorse resides in Albuquerque, New Mexico. 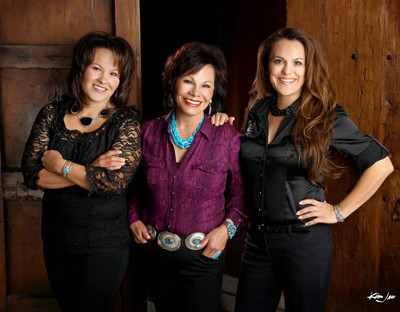 Her daughters Desiree and Lei Lani are involved in the creation and design of Artie’s jewelry. Desiree has become an accomplished jewelry designer and is well known for her exquisite, one-of-a-kind “Tahy” necklaces, named in honor of her Grandmother, Anna Tahy. Lei Lani specializes in making handmade silver beads, and works with Artie in marketing and public relations. Artie hopes that the Yellowhorse designs of today live on to inspire the young artists of tomorrow, continuing the tradition of simplicity of design in elegant jewelry. With influences of the Navajo culture, blended with the bold fashion of the Southwest, this is beautifully refined jewelry/wearable art with a multi-generational evolution. The work of Artie Yellowhorse is not only known for its ancestry, but also for its fresh and contemporary silver work.